Collection of photographs documenting the Austria and Hungary border. 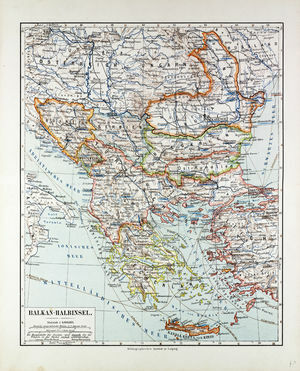 Included is a map of Austria-Hungary and surrounding countries from 1899. Black-and-white photographs include a soldier helping refugees consisting of a mother and her children along the border, soldiers in a group talking, and Hungarian refugees crossing the Austrian frontier at Nickelsdorf after the Soviet intervention.